Well, the holiday season can be a little tough for coeliacs or those with gluten intolerances. A slice of delicious Christmas pudding? Forget it! Turkey stuffing?! What did you put in it?! Er.. do you have the ingredients list? NO! YOU CAN'T USE THE SAME SPOON!!! and I've just found a new one! PureBred is a new range of Gluten Free bread available in Australia. These breads are quite different to what you're used to seeing on the shelves - they're light, fluffy and contain half the amount of fat of the leading brand of gluten free bread. Not only that, they also have three times the amount of fibre! If you've been reading Southern In-Law for a while, you'd know I'm the queen of Food Intolerances. 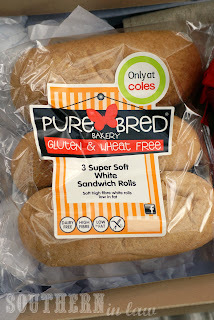 Unfortunately their Seeded Wholegrain Rolls and the Multigrain Farmhouse Loaf contain Plum Puree which is a big no no for my stomach! Nonetheless, their Super Soft White Sandwich Rolls and White Farmhouse Loaf were Kristy-friendly and by jove were they good! Both the rolls and the bread are super soft with a sourdough like flavour. They weren't squeaky like some gluten free breads and they don't sit like a brick in your stomach like others. The bread was light, fluffy and perfect fresh or toasted. Now... let me tell you something. On the packet it says Not suitable for freezing. Well as an experiment (read: there's no way one coeliac can devour and entire loaf of bread and 3 bread rolls before they go bad) I froze them so that I could tell you how they went. 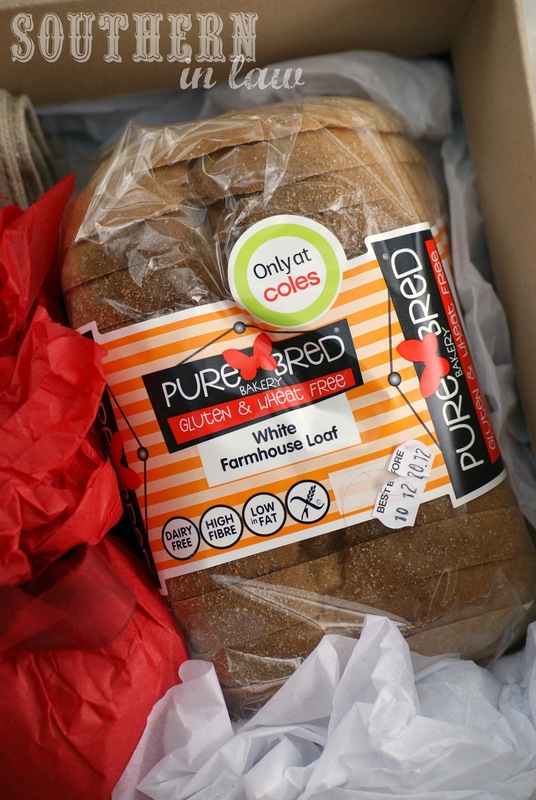 The PureBred range is available at Coles stores Australia-wide, so do yourself a favour and get some ASAP! 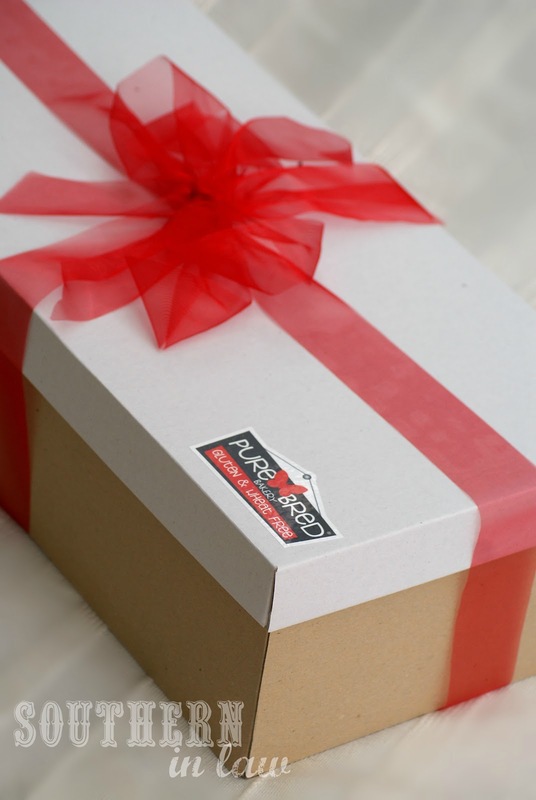 Kristy received PureBred products courtesy of PureBred and Communicado - all of the opinions expressed in this review are her own. I've seen this brand on facebook a few times! Would the bread be okay for people who can eat gluten? I suppose you could, but gluten free bread does have a different taste/texture to wheat bread. Plus, if I could eat gluten - I'd be all for regular breads!